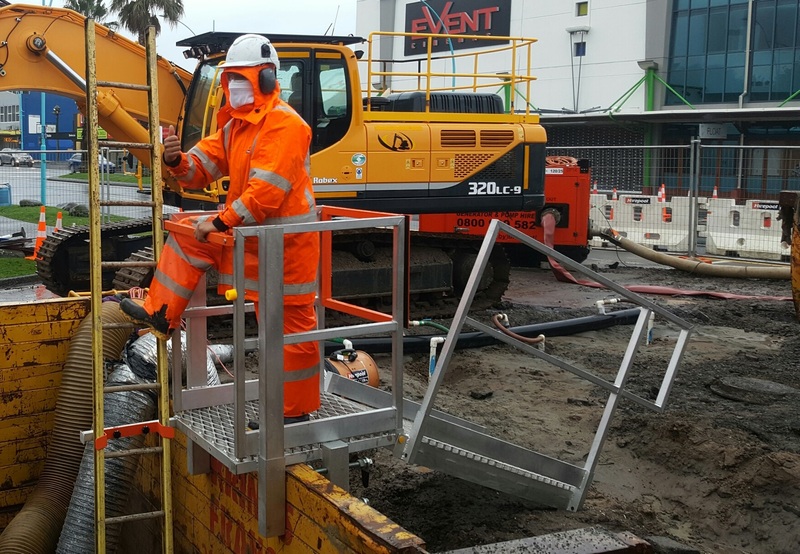 Ladder access platforms have been available for hire from TSNZ for several years but, until now they have been a rugged steel option from MGF in the UK. Now, TSNZ has brought some new light weight aluminium LAPs into hire stock. These have been engineered and supplied by BTS in Australia. Along with the LAPs TSNZ also has telescopic walkways available. Thes can be used to bridge any gaps leading to the ladder access platform or as a short bridge across any gap. 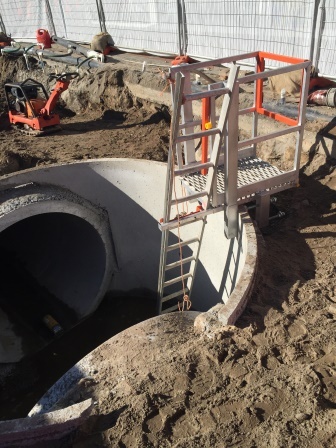 Brian Perry Civil are laying 2100mm diameter concrete stormwater pipe and required a safe way to access the excavation. Previously they had used scaffolding for their ladders access but this was costly and slow. Every time they needed to move position they had to get the scaffolders back to dismantle and reassemble the platform. Now it is a simple matter to location the BTS ladder access platform wherever it is needed with a minimum of effort. Used on this for access to the shored excavation and to a manhole.